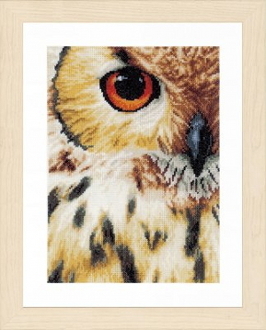 A great kit for all Owl lovers! Features a closeup view of an exquisite Owl. Design size: 8"w x 16.4"h (19cm x 26cm). 27 count 100% cotton White Linen fabric, 100% cotton threads, needle and instructions.